Despite having had no fault divorce in Australia since 1975, England and Wales are still grappling with laws that restrict no fault divorce, making the process lengthy and costly for all parties. In England and Wales, if separating couples want to get divorced without waiting for two years (or five if the other person does not consent), one person must submit a petition detailing how the other is ‘at fault’. In 1990 a Law Commission report set out six problems with fault-based divorce, including that the law was confusing and misleading, discriminatory and unjust, distorted bargaining positions, provoked unnecessary hostility, made things worse for children by exacerbating parental conflict whilst at the same time doing nothing to save marriages. Consequently Parliament went on to enact a no fault divorce regime with the Family Law Act 1996, but logistical challenges meant that this was never implemented. A recent study interviewed a number of stakeholders in family law, including people going through divorce and family lawyers, as well as observation of the court scrutiny process and analysis of divorce court files. Why Does the UK Need No Fault Divorce? Divorce petitions are often not accurate descriptions of why a marriage broke down and the courts make no judgement about whether allegations are true. 43% of those surveyed who had been identified as being at fault by their spouse disagreed with the reasons cited for the marriage breakdown and 37% of respondents in the court file analysis denied or rebutted the allegations made against them. Uncertainty about what constitutes unreasonable behaviour undermines the principle for the rule of law to be ‘intelligible, clear and predictable’In the 1980s, 64% of behaviour petitions were based on allegations of physical violence, but this has now fallen to 15%, indicating that there has been a large drop in the expectations as to what is needed to prove ‘behaviour’. The use of fault may trigger, or exacerbate, parental conflict, which has a negative impact on children. In the national survey, 62% of petitioners and 78% of respondents said that in their experience using fault had made the process more bitter, 21% of fault-respondents said fault had made it harder to sort out arrangements for children, and 31% of fault-respondents thought fault made sorting out finances harder. When interviewed, both petitioners and respondents gave examples of how the use of fault, mainly behaviour, had had a negative impact on contact arrangements, including fuelling litigation over children. Divorce law in England and Wales is out of step with Scotland, most other countries in Europe, and North America. In 2015, 60% of English and Welsh divorces were granted on adultery or behaviour. In Scotland, where a divorce can be obtained after one year if both parties agree, this figure was 6%. 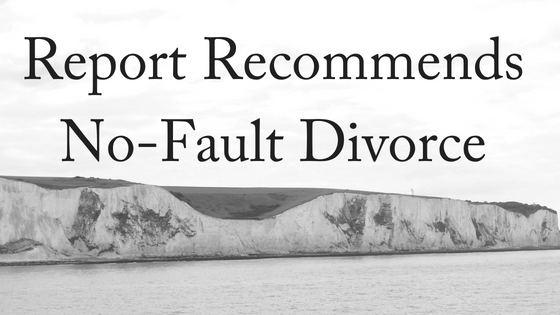 Fault does not protect marriage or deter divorce. The study found no empirical support for the argument that is sometimes made that fault may protect marriage because having to give a reason makes people think twice about separating. In fact the evidence points the other way: analysis of case files shows fault was associated with shorter marriages and shorter gaps between the break-up of the relationship and filing for divorce. The report comes ahead of a supreme court hearing next month into the case of Owens v Owens, the only successfully defended divorce case in recent years. Tini Owens, who is in her sixties, claims she has been left trapped in a “loveless and desperately unhappy” marriage after judges refused to allow her to divorce her husband of 40 years. Her lawyer said: “The divorce law is now nearly 50 years old and reform is long overdue. Our interviewees told us how difficult marriage breakdown is, yet the law makes the legal divorce even more difficult than it needs to be. “Having to blame one person to get a divorce does not help and in most cases is unfair. And the court is not able to investigate why a marriage has broken down and recognises anyway that it is a fool’s errand. Defending a divorce is emotionally demanding and few can afford the typical legal fees of around £6,000. Family lawyers generally discourage defence, viewing it as expensive, counter-productive and futile. In Australia, no fault divorce is the norm. 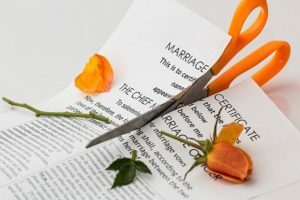 Before a divorce can be granted, you need to satisfy the Court that you and your spouse have lived separately and apart for at least 12 months, and there is no reasonable likelihood of resuming married life. It is possible, however, to live together in the same home and still be regarded as separated. For a free, 10-minute phone consultation with our friendly, experienced family law team, please contact us today.